Noland appeared in two episodes of the anime: Numero Uno Articuno and The Symbol Life. He enjoys inventing things and riding on the airplane that he made. Rather than battling with random Pokémon, Noland allows the opponent to choose who they will battle against. Noland is the first Frontier Brain fought by Emerald in Pokémon Adventures. He uses Mawile, Golem, and Glalie and respects Emerald, launching into a lengthy discussion about strategy after the battle. 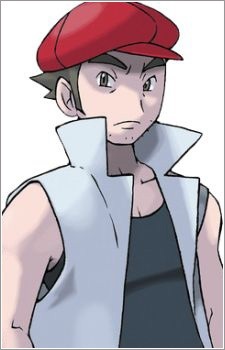 Noland is in charge of raising and taking care of all of the rental Pokémon not only in the Battle Factory, but the ones used by the simulated holographic trainers in the other Battle Frontier facilities as well.